The head of King Sargon II, a limestone fragmentary head of Lamassu, the winged bull, was returned to Iraq along with other looted antiquities. Photo courtesy of ICE. A limestone statue of the head of the former Assyrian King Sargon II is headed back to Iraq. Sargon II (aka Akkadian Sarru-ukin) ruled from 722 to 705 B.C., and his likeness was put on statues of Lamassus (Lamassi? ), legendary creatures with the bodies of winged bulls meant to be a symbol of protection. The face of one such statue was stolen in 2007 or 2008 and later smuggled into the United States. It was recovered in 2008 in New York after arriving as part of a shipment from a Dubai-based dealer, according to the New York Times. Similar Lamassu statues can be seeing getting the jack hammer treatment from Islamic State soldiers in Nineveh. 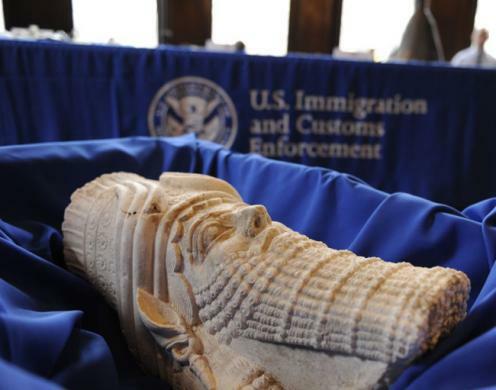 WASHINGTON — More than 60 Iraqi cultural treasures illegally smuggled into the United States were returned to the Republic of Iraq Monday, following five separate investigations led by U.S. Immigration and Customs Enforcement Homeland Security Investigations. The objects were seized at the culmination of investigations led by HSI offices in New York; Baltimore, Maryland; Austin, Texas; and New Haven, Connecticut. 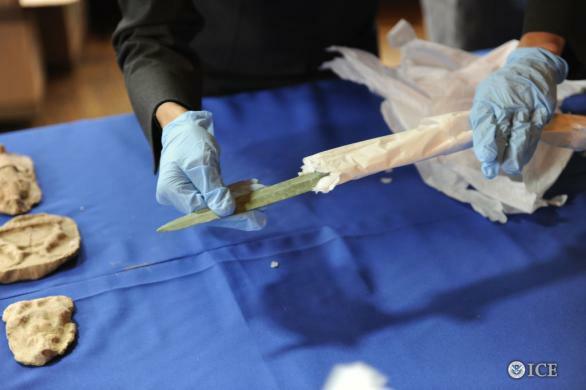 U.S. Customs and Border Protection (CBP) and the Southern District of New York U.S. Attorney’s Office assisted in two of the investigations. One of the most significant items returned to Iraq is the Head of Assyrian King Sargon II, a limestone fragmentary head of Lamassu, the winged bull, from the Palace of Sargon II. As part of “Operation Lost Treasure,” HSI New York special agents received information on June 30, 2008, that an antiquities dealer based in Dubai was selling looted Iraqi antiquities to dealers around the world. The special agents seized the limestone statue on Aug. 13, 2008, after it was shipped to New York by a Dubai-based antiquities trading company owned by the antiques dealer. This investigation identified a broad transnational criminal organization dealing in illicit cultural property. Some of the network’s shipments were directly linked to major museums, galleries and art houses in New York. 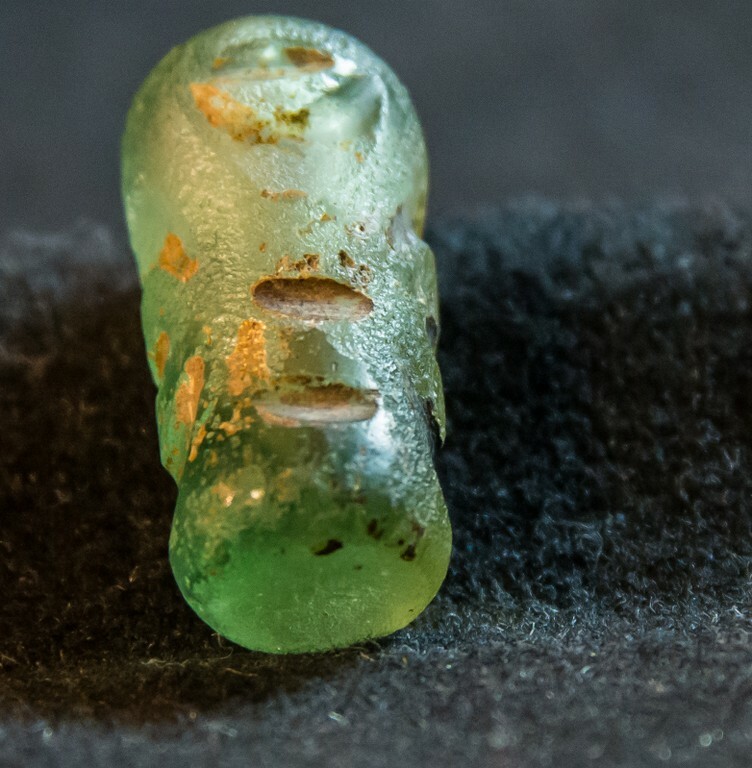 The investigation has resulted in one arrest, multiple seizures of antiquities ranging from Libya, Egypt, and Afghanistan, and the return of many of artifacts. A repatriation ceremony with Afghanistan was held two years ago and future repatriations are anticipated. In April 2012, HSI New Haven special agents received information that individuals were smuggling and transporting stolen goods, specifically gold plated items from Saddam Hussein’s private airport and palace. The individual obtained a water urn, door knocker and soap dish from in or around one of Hussein’s palaces. HSI Austin special agents viewed a Craigslist posting selling objects consisting of swords, daggers and an ax from various time frames and regions. In June 2012 special agents determined that a Luristan bronze ax from Early Sumeria (present day Iraq) was among the artifacts being sold. The seller had no importation documentation and the ax was among several other items that were subsequently abandoned by the individual. Bronze weapons and other looted antiquities were returned to Iraq. Photo courtesy of ICE. 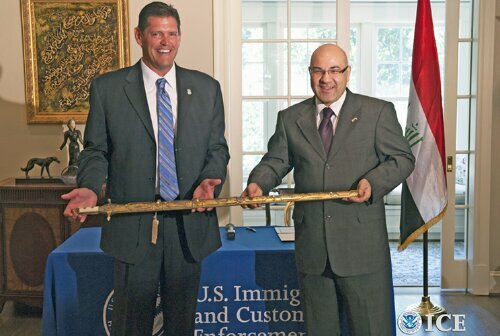 In January 2014, HSI Baltimore received a tip reporting that a senior civilian employee working in Iraq in 2004 during Operation Iraqi Freedom, withdrew an Iraqi window seal from an Iraq government building and brought it home. Special agents met with the employee where he stated he was not aware that he required permission from the United States, Iraq or military authorities to export the item out of Iraq. An investigation by HSI New York dubbed “The Mummy’s Curse” targeted an organization that smuggled cultural heritage objects into the U.S., sold them in antiquities markets and laundered the proceeds back to the source countries. As part of the investigation, 37 Iraqi bronze objects, 21 clay reliefs and 18 pieces of Iraqi glass were forfeited to the U.S. government to be returned to the people of Iraq. This investigation was unique in utilizing money laundering charges, which allowed investigators to seize bank accounts containing the proceeds from the sale of smuggled cultural property. This allowed ICE to identify a large transnational criminal organization, resulting in the issuance of four arrests warrants. So far two convictions have been secured and the agency is seeking an international fugitive involved in the case. 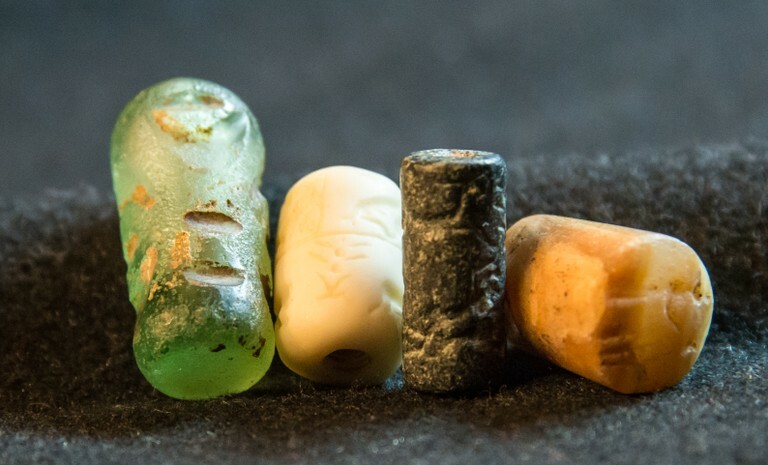 In a private ceremony at the Embassy of Iraq in Washington, D.C., the FBI repatriated four cylinder seals to the Iraqi government in October. The stone seals are believed to date to as early as 2300 B.C. In ancient times, when rolled across wax or soft clay that later hardened, the seals formed an imprint or “signature” that marked a piece of property and uniquely identified its owner. This is not the first time the FBI has played a role in the repatriation of Iraqi antiquities. 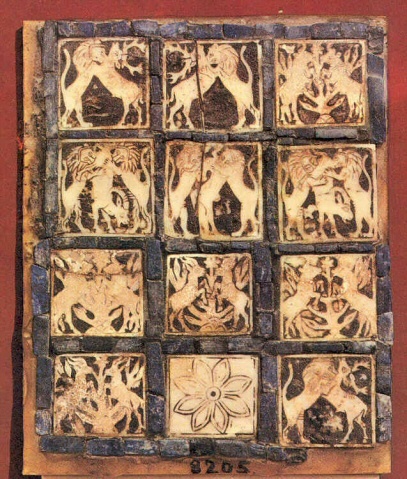 In 2005, the Bureau returned eight stone seals that were believed to have been stolen. In 2011, terracotta plaques and other artifacts seized during a 2006 investigation were returned to the government of Iraq. It was the looting of the Baghdad Museum in 2003, where many of these items once resided, that led to the formation of the FBI’s Art Crime Team in 2004. The seals returned on Oct. 25 are small enough to fit in a person’s palm. The Bureau’s International Operations Division and Criminal Investigative Division delivered the seals to Iraqi Ambassador Lukman Faily. For this week’s stolen art report, we are featuring board games from Ur, in what is now Iraq. 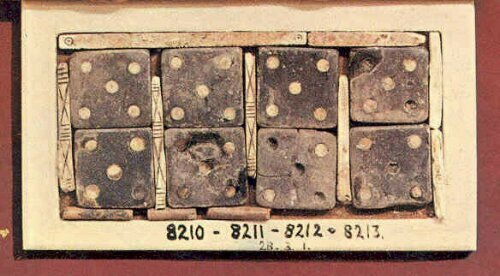 The National Stolen Art File has some neat photos of a missing game board plate inlaid with shell depicting ritual scenes and animals and another shell inlay piece that looks like a d6 (six-sided dice, or all non-gamers). Aside from the pictures and the stats, there is no other information about the stolen games. Our best guess is they were swiped in 2003 when the Iraq’s national museum was ransacked during the war, but stolen Iraqi artifacts have been known to go back further. In fact, in 2001, Immigration and Customs Enforcement agents seized 300 Cuneiform clay tablets headed for a New Jersey gallery and determined they were from Iraq and not Dubai, as stated on their customs documents. They tablets at the U.S. Customs House at the World Trade Center complex and, after the Sept. 11 attacks, recovered from the ruins, according to ICE officials. The tablets were returned to Iraq in 2008. Included in the 2008 repatriation was a copper Sumerian foundation peg figurine (traditionally buried under temples to establish the patronage of the ruler who built it) from the Third Century BC that had been stolen from the Iraqi museum during the first Gulf War and auctioned off in New York.